Curious about how your local SEO campaign can get you more customers? Search Engine Optimization (SEO) is the digital marketing tool you need to stay competitive as a tradesperson. It involves optimizing your web content so that you can appear at the top of search listings on Google and other search engines. Local SEO solutions mean making sure that local people can find you easily online. There are specific things you can do to take charge of your local SEO campaign so you can stay competitive in your vocation. Read on to learn about the SEO solutions you need as a tradesperson to establish the customer base you want. Your local SEO strategy goes hand in hand with your business listings online. A great way to boost your local optimization campaign is to make sure you make the most of online local citations. What are online local citations? These are virtual directories people use to find businesses online. You likely come across citations all the time in your personal life. Common citations you’ll want to get in on are Google My Business, Yelp, Facebook, Yahoo Local, MapQuest, Trip Advisor, Angie’s List, and more. Some directories will be catered to certain businesses or industries (like Trip Advisor), so be sure you associate with the industry-appropriate directory. Listings with these directories are free and easy to acquire. To put forth solid listings, make sure each one includes your business name, address, and contact information. Include photos of your business, a website URL, and a short description of your company. Make sure that you have as many local citations as possible and that these are optimized for ideal keywords. Be consistent with the contact and descriptive information you add to local listings, too. Gathering local citations can be time-consuming. Consider hiring professionals to help you get set up with local directories and big data sites. As a tradesperson, you depend upon local clientele. Because local people use their devices more than anything else to find businesses and shops, it’s important to make sure you can appear in their searches. You’ll want to optimize local citations for specific keywords or phrases like these as well. Local SEO solutions mean making the most of every digital channel, and online reviews are at the top of that list. Most directories like Yelp or Trip Advisor enable users to leave comments, rankings, and reviews for services or businesses they’ve visited. These reviews are immensely important to your local standing. People rely on online reviews all the time in order to make purchase decisions. In fact, ninety-percent of customers use online reviews in some capacity when shopping or searching for goods. Make the most of this by encouraging reviews from your customers and clientele. Monitor the reviews you do receive so that you can also get a sense of how your customers are responding to services provided. Higher reviews and rankings mean that you’ll have more credibility in Google’s eyes. And this means sailing to the top of search listings. Reviews really are among the top local SEO solutions for this reason. After you’ve optimized your website content for local and topic-based searches, it’s time to take it to the next level. This is one of the most helpful local SEO solutions if you’ve already optimized your content and aren’t seeing immediate results. Another form of local searches involve the “near me” searches. This search works so well because Google can recognize users’ locations and provide results based off of that location. But you can also use this language in your optimization. Phrases like “cafe near the Hudson River” or “shoe store near the airport” can really boost local SEO strategies, and also give more flavor to your online content. SEO goes hand in hand with social media. If you haven’t already, make sure you’ve got social media accounts for your business on Facebook, Twitter, Instagram, and LinkedIn. But don’t just let those social media profiles sit there and gather virtual dust. It’s important to optimize the content you post on these accounts for local searches. This means integrating keywords and phrases into the captions and brief titles you post–you can even optimize images for local SEO. Use social media to encourage online reviews, and to take advantage of your local audiences. The more of a virtual following you can gather, the more likelihood you have of drawing locals to your shop. A blog is an essential digital commodity these days, for so many reasons. 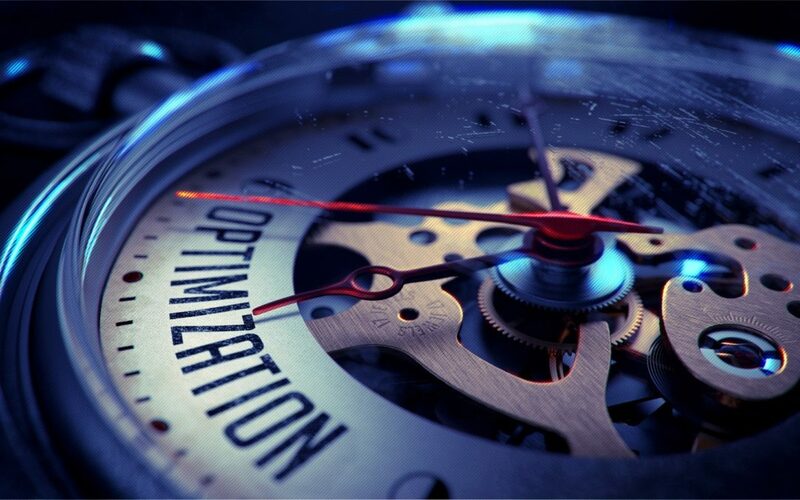 Blogs give you another chance for local optimization, for one thing. But they also let you engage with local communities in a timely and relevant way. Maintain a blog that produces frequent, rich content. Post about things your local clients are curious about. Talk about your trade and the skills required for your vocation. Address a common problem and offer a solution. The sky really is the limit. The more you focus on local issues and subjects, however, the greater your opportunity to hone your local SEO strategy and gain more digital attention. This is one of the top local SEO solutions out there–especially because adding a blog to your website can work wonders in other ways, too. As a tradesperson, you depend upon your community to keep going. It can be difficult to draw local audiences, especially if your work is seasonal. Don’t miss out on your local customer base. Employ local SEO solutions to attract new clients by making the most of local citations, crafting a blog, and optimizing your web content for local and “near me” searches. Encourage online reviews and harness the power of social media. At the end of the day, you can always hand it over to the pros for local SEO solutions. At Full Scale SEO, you’ll find your one-stop shop for everything SEO and more. We can take your local SEO strategy to the next level so that you can get the clients you need. Check out our local SEO services or reach out today to start a conversation.